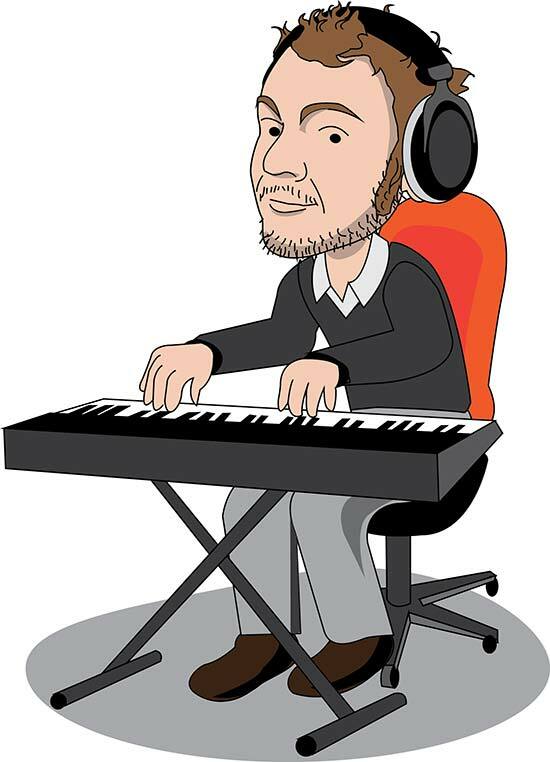 Musician cartoon character on keyboards. It was used on the Peel Interactive website, a subsidiary of Peel Entertanment group. Vector illustration drawn in Adobe Illustrator. Why not commission your own personalised caricatures for your own website? Contact Design Spark for more details.